Why Have A Free Electrical Safety Check ? Cables coated in black rubber – black rubber was phased out in the 1960’s. Cables coated in lead or fabric are even older. 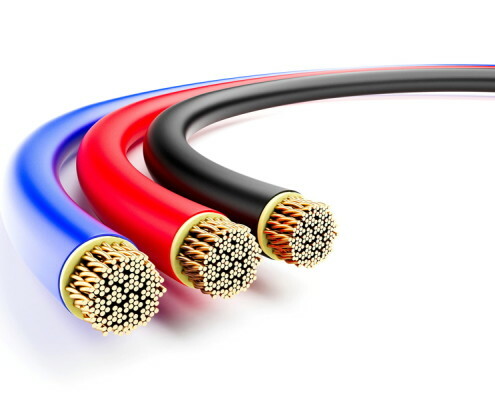 Modern cables use PVc insulation. Older round pin sockets and round light switches, braided flex hanging from ceiling roses to light fittings, black switches,or sockets mounted in skirting boards. There are special requirements for electrical installations in bathrooms, so it is essential to check whether your bathroom meets them. Old style fuseboards such as these can be found in many older properties and do need updating to the latest metal consumer units complete with the latest MCB and RCD protection. At the end of the check our electrician will provide you with the report and will discuss the results. Hopefully everything will be alright but if not don’t worry our electrician will discuss with you what areas would benefit from improvement and what it may cost to rectify. 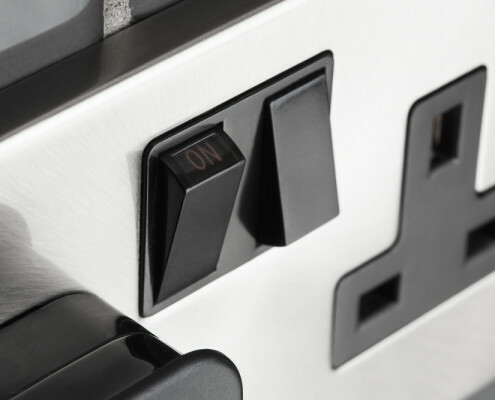 The survey includes an intensive 17-point visual safety check, covering all areas of a domestic electrical installation from the consumer unit and earthing system, to the sockets, switches and light fittings. Our engineers will always take the time to fully explain the results of the survey in plain and easy to understand language. Our aim is to ensure that you, the homeowner, are better informed, and most importantly, safer.